Bradford City and Reading shared a tussle in the mud of Valley Parade in the FA Cup sixth round and while both side will be happy to go into the hat for an FA Cup semi-final draw the next nine days until the reply cannot pass quickly enough. Bradford City and Peterborough United trundled through a game which saw City keeping powder dry for next Saturday and The Posh auditioning a new manager in Dave Robertson. When a goalkeeper is sent off for denying a goal or goal scoring opportunity the laws of football punish the team beyond any other offence. When this happened on Saturday Phil Parkinson would have been best advised to put an outfield player in goal for the penalty. All footballers have to face retirement and Notts County's team of Gary Jones, Garry Thompson, Roy Carroll, Hayden Mullins and Alan Smith face it playing in a team which had not lost before visiting Valley Parade but were beaten 1-0 by a Billy Knott goal before half time. Neither Bradford City nor Gillingham committed to winning this game but, in a week in which City's board have committed to reaching the Championship by 2017, one has to wonder how that aim will be reached and what is being done to reach it? By starkly confronting the weaknesses of his squad Phil Parkinson was able to get his City team to play to their strengths. That allowed him to nullify Preston North End for most of the game and gave Mark Yeates the opportunity to create the moment of the season so far. At half time and losing to Halifax Town Phil Parkinson must have feared for his future as Bradford City manager after his use of an ill-suited formation and his team playing without a responsibility for their performance. At half time the City manager returned to the tried and trusted formation and attitude that had seen City giant kill, and stopped them being giant killed. Bradford City were beaten at home by Doncaster Rover 2-1 not for the want of a striker to finish off chances but because the team continued the problem of the season that with the exception of Mark Yeates the players in the midfield positions are not involved in positive action often enough. Having gone two goals down and had to haul off Christopher Routis Phil Parkinson had a lot to be proud of in the way his players responded to take control of the game but the defeat, and a red card for Rory McArdle, mean that Parkinson and City came back with nothing at all. On Monday night, at Old Trafford, something well happen that has not occurred in over one hundred years. Bradford City will be in the draw for the FA Cup semi-final. The goal-less draw at Valley Parade in the FA Cup sixth round with Reading guarantees that the Royals will be in that draw too. The immoveable object met the immoveable object in the first of the four quarter final ties and while City will look back to a chance or two which could have resulted in more the game which mustered only a single shot on target had the hallmarks of a pair of teams more concerned with losing than committed to winning. Which is not to criticise either side for that approach – I spoke recently about how Phil Parkinson’s approach puts importance on not being out of a game – but to explain the dynamics of a game which promised everything and left tension unresolved. Each side enjoyed a half of the game. The first forty five minutes Reading edged possession and hit the post through Pavel Pogrebnyak although the seemed to be a fast and loose being played with left hand touchline calls by a linesman who gave the benefit of geography to the Royals. Nevertheless Pogrebnyak’s shot – along with a deflected effort by Hal Robson-Kanu – was all that Ben Williams in the Bradford City goal had to do. Williams’ inclusion over Jordan Pickford was a surprise but a pleasant one. Williams kept goal for every Cup tie while Pickford was tied to Sunderland. That Parkinson kept faith in the keeper that had got him to the sixth round recalled Paul Jewell’s decision at Wolves in 1999 to go for promotion with the eleven who had been his most regular starters. “A girl dances with the fella that brought her”, I said then and I think it now. Indeed after watching Ramires burst from the Chelsea midfield to put the Blues into a 2-0 lead Williams has not conceded a goal in the FA Cup. Thinking back to that day one recalls how Chelsea were lacking a Claude Makélélé in holding midfield. While Chelsea had allowed the Bantams to build in the forward midfield positions Reading deployed a man to sit in front of their back two and make sure that Billy Clarke’s influence on the game in the first half was as minimal as possible. Nathaniel Chalobah sat next to Clarke and forced a gap between Jon Stead and James Hanson which split City’s forward options leaving the Bantams disjointed in the final third. Chalobah put in a very impressive game – especially in the first half – and looked as if he may be the decisive difference between the sides until Phil Parkinson tweaked his approach at half time to play more through left and right midfielders and less through his front man. Chalobah – oddly – is on loan from Chelsea. He has a very brought future. Parkinson’s tweak was to have the ball played through Billy Knott and Filipe Morais – and to have Knott and Morais pick the ball up deeper – and then allow Clarke to drift left and right effectively taking himself and Chalobah out of the game. And so City enjoyed more of the game in the second period. Morais had a chance just after half time which he passed when he could have shot – he seldom is accused of “making the wrong decisions” as a Kyel Reid or Omar Daley was although he probably does as much – and James Hanson swept a ball the wrong side of the upright after good work by Jon Stead. The best chance of the game presented itself when Morais bent a free kick in and Andrew Davies connected but watched his headed chance take the paint off the post as it skimmed wide. Davies’ reaction suggested he knew that the best chance of the game had gone, but that the tie would have more chances in it, and so it will prove on Monday week. Reading’s Pogrebnyak tried to handle the ball into the goal in the last moment. That was all the City defend had to cope with in the second half. That City went toe to toe with a Championship side is impressive. If one were to ask which side regularly played at a higher level one would be simply guessing an answer. There was a character needed from City’s side today to handle being favourites and there was a character needed to turn the performance around at halt time. That good performances and great character are common does not make them less impressive. One wonders what City have to do to win the second game which was not done today. Away from Valley Parade the Bantams have a tendency to replace Billy Clarke with Billy Knott and play Andy Halliday – a late sub today – to create a different shape to the midfield and that shape seems more effective. City have won more games away from Valley Parade this season in League One than at home, and on travels to Chelsea, Millwall and Halifax Town have shown character in different ways. The Valley Parade turf was better than it has been (which is, of course, not down to Roger Owen who is not responsible for the pitch) but is heavy and the ball bounces little from it. A better surface will not suit City any more than it does Reading, but it will allow for City to play the tight triangles that much of Parkinson’s attacking play is built around. City face trips to Coventry City and Gary Jones’ Notts County in the nine days before Reading. In League One today City slipped to tenth and the expereince in the build up to this tie did not suggest that the Bantams will be turning games in hand into three points. But those worries are for another day. It will be the 16th of March and City will still be in a cup competition and that has not happened in over one hundred years. Not for Parkinson though. The manager who has as a modus operandi not being out of a game is not out of a tie. Nine days to assess Reading, and the game that passed, and to plot a victory which will make City more than a name on a ball in a bag. Nine days cannot pass soon enough. More about Andy Halliday, Ben Williams, Billy Clarke, Billy Knott, Claude Makelele, Coventry City, Filipe Morais, Hal Robson-Kanu, Jordan Pickford, Kyel Reid, Nathaniel Chalobah, Notts County, Omar Daley, Pavel Pogrebnyak, Phil Parkinson, Reading. Horace on Homer, Ars poetica. To watch a a football match is to experience life in medias res. While every game has a structure starting, middling, and ending those games are largely only understandable in a wider context. Uninteresting is the match which does not continue a story at the start and suggest one at the end. The meaning of the 32nd game of a season is given by the 31 game which proceed it. Not so Bradford City’s trip to Peterborough United where both clubs seemed to be attempting a start of things. Most obviously in the case of the home side who dispensed with the services of Darren (Son of) Ferguson in the week and replaced him with Dave Robertson. That Robertson ended up winning his first game in charge of The Posh was largely down to a first half in which Bradford City wasted some chances and wasted more chances to create chances against an ill fitting wing back formation. With Billy Clarke playing removed from Jon Stead in the forward line and Billy Knott partnering Jason Kennedy in the midfield City’s compact 442 once again committed only to not giving away too much of the game too early while Peterborough were laid raw in wide positions. Oliver Burke looked fast and had a fine chance to claim a lead which he squandered and from that point he faded. Andy Halliday returned to the left wing where he had been unimpressive at the start of career and looked unimpressive showing perhaps that he has found a calling in inside midfield that should not be ignored. When he switched inside later in the game his seemed more comfortable. City’s side was marked by its absences today. The point where Filipe Morais and Gary Liddle became cemented into the team sheet might only be obvious in retrospect, but it is obvious. James Hanson spent the warm up going through his paces with the coaches but was not included on the bench. James Meredith warmed up a few times but that was all the stretching his legs got and it seemed to become clear that minds were on next Saturday’s FA Cup quarter final with Reading and not on Dave Robertson’s first game as a football manager. Indeed when Oliver Burke was removed following Peterborough’s scrambled first by Gaby Zakuani – and when Parkinson moved to a 4312 – Meredith remained on the bench with Knott taking the holding role rather than Alan Sheehan moving forward. Parkinson may reflect how much more comfortable his side seemed in the 4312 having switched from the 442. Robertson in the home dug out found his victory from going to a 442 and launching the ball into the City box as often as could be. If this is the start of his time as Peterborough manager then the home fans who this week went through possible replacements for Ferguson discarding some for not playing good enough football may find that they have to get used to something less beautiful. There is enough about Peterborough to suggest that they will be aiming for promotion to The Championship next season. For City the game was players not playing with injuries they would previously have battled through, and a general lethargy in the display, and at some point in the afternoon a plan formed which is probably not spoken at Valley Parade. Looking at City’s performance this season and seeing how strong the top four in League One are a case could be made that anyone outside the third and fourth positions in the play-offs has less chance of promotion. Parkinson could send his team out to sacrifice life and limb for a push to get to fifth or sixth but – having been defeated in the play-off semi-final – the result would be that next season the club would be in no better position than it was this. However if those limbs are saved for the Reading game and if the Reading game were won then the rewards of an FA Cup semi-final would add significant chunk to the club’s income and – with no directors to trouser the cash as a loan repayments – that income would have no better place to go than into Parkinson’s purview. A new pitch, three top quality recruits, and a new contract for Andrew Davies and City start August 2015 as one of the favourites for promotion. One shot as favourites rather than two as outsiders. A late penalty made the score 2-0 but that is immaterial as – it may be – is City’s game with Crawley Town on Tuesday night. A win against Reading next Saturday and Parkinson will turn his attentions to next season via a semi-final, just a Robertson will hope that this result and his plan for next term gives him the job at London Road on a full-time basis. Which would make this game the embryonic start of next season and a rare case of football’s ab ovo. More about Alan Sheehan, Andrew Davies, Andy Halliday, Billy Clarke, Billy Knott, Darren Ferguson, Dave Robertson, Filipe Morais, Gaby Zakuani, Gary Liddle, James Hanson, Jason Kennedy, Oliver Burke, Peterborough United, Phil Parkinson, Reading. Imagine, if you will dear reader, a different scene on Saturday when Bradford City lost to Rochdale when Jordan Pickford was sent off for denying Matt Done a goal or goal scoring opportunity which had almost certainly gone. Imagine Done more central, no defenders, and Pickford taking the man squarely and cleanly. Imagine that Pickford had unequivocally denied Rochdale a goal or goal scoring opportunity. The Referee would have sent Pickford off with the same haste and City would have faced the same situation of facing a penalty kick and playing a game with ten men. Even though in this hypothetical situation Pickford would have been guilty of the offence the punishment given would still have been too harsh. The sending off of a goalkeeper for denying a goal or goal scoring opportunity is a disproportionate punishment for the offence and does not offer recompense for the offended against team. In no other situation in football are you required to make a substitution in haste. If a player is injured you can withdraw him and bring on a replacement when that replacement is warmed up. You can take as long as you want to do this. This includes goalkeeping changes which often result in close to minutes injury time rather than goalkeeper sendings off which are completed with such speed that the replacement keeper does not have the time to prepare and he is not in the flow of the game. If a defender is sent off for denying a goal or goal scoring opportunity then the goalkeeper is warm when the penalty happens, if the goalkeeper is replaced he is cold. Why is the team punished extra by having a cold goalkeeper because of the identity of the sent off player? And what about the risks of demanding a cold player come straight into action? What about when the cold goalkeeper pulls a muscle diving for the penalty? Is that to be an additional part of the punishment? In no other situation is a player expected to play cold. Whilst considering the concept of additional punishment the penalty not considered reward enough for a denial of a goal or goal scoring opportunity offence and so the team must play with ten players for a spell of time which is decided by when the offence occurred. If we put Pickford’s hypothetical offence in the last minute of a game where then the punishment is a penalty and playing a minute or two with ten men. If we put it in the first minute minute of a game then the penalty is faced but the team have to play with ten men for a full 89 minutes. What about a keeper sent off after fifty eight minutes in a final already lost? It is impossible to say that those three situations represent the fair punishments. To play without a man for almost a full game is clearly a more harsh punishment to be missing a man for injury time. Of course there is an argument that says that goals earlier in the games are more formative of the match and thus important than goals later in the game and so a player denying a goal or goal scoring should be punished more severely if he does it early in the game than late. Try telling that Asamoah Gyan and his Ghana teammates. Reducing an opposition team to one fewer men is only sometime a punishment. For City at Wembley against Swansea City Matt Duke’s sending off was neither here nor there – the game was gone – but had the score been been 3-0 to the Bantams then it would have obviously had a different importance and be more of a punishment. A football manager’s role on match days is to assess the ebb and flow of games and respond accordingly. When a manager sees a goalkeeper sent off for an incident that results in a penalty kick and he must make a decision on who to remove to bring on a replacement before the penalty is taken. But he cannot make that decision. He does not have a vital piece of information. He does not know if the game is ebbing or flowing? He does not know what is going to happen from the penalty. If the game is in the balance – say 0-0 – and he takes off a defensive player he assumes that the penalty will be scored and he will chase the game for an equaliser. If he takes of an attacking player and needs to score he is a man shy in achieving that goal. If the penalty kick is missed then his plans have to be rethought. Again at no other point in football is punishment so disproportionate. If any other player is sent off the manager is allowed the fullness of time to decide who to remove and how to change his formation in knowledge of the score of the game. Only in this specific instance does the manager have to make a decision before the game can continue knowing that the next action in the game has a great chance of rendering his decision wrong. If the game is 0-0, and a player is sent off for a bad tackle in midfield the manager can decide if he will move defensively to try maintain a draw or press on and try win. If a defender is sent off for the denial of a goal or a goal scoring opportunity then the manage is able to make the decision as to a replacement knowing if any resulting penalty has been scored. Why should the goalkeeper being sent off be given such a special and specifically disproportionate set of punishments which exceed the punishment given to a team when a defender commits the same offence? Ten minutes into the game and Matt Done has done what he had done and Jordan Pickford has been sent off. The first thing Phil Parkinson should do is to send Matt Williams to warm up but rather than removing Andy Halliday Parkinson should have given a green shirt to whichever of his players still on the field has even the slightest ability between the sticks. Jon Stead is tall and agile. Stead gets the gloves and goes in goal while Williams warms up. Rochdale take the penalty. Penalties are most often scored regardless of the quality of the goalkeeper. 85% of penalties which are on target go into the goal. 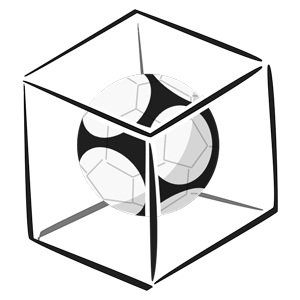 94% of the time keepers move one way or the other and when that way is the right way they have a 40% chance of saving the ball hit in that direction but when the ball is hit centrally, and the keeper stays in the middle, they have a 60% chance of saving the ball. The best strategy for penalties, in other words, is to stand in the middle of the goal and hope the player misses the target. Which is what Parkinson should have told Stead (or whomever) to do. Probably he would not have saved it but probably all penalties go into the goal. And so after the penalty is scored Parkinson would know that Halliday was the man to remove because there was a game to chance and remove him for a now warmed up Williams with Stead returning up front. Had the penalty been missed or Stead have saved it Parkinson could remove a different player, probably Stead, and tried to grind out a victory with the eight players in defensive position as he has previously. In the case of denial of a goal or a goal scoring opportunity Referees have to understand that they are handing out the single biggest on field punishment in the game – the A-Bomb of football – and perhaps consider if a player running away from goal with covering defenders who is – shall we say – brushed is really the situation that whomever framed the rules envisaged when this ultimate sanction was created. Those Referees who do feel they have to send a goalkeeper off and that the punishment they are mandated to give is without proportion might want to complain to their superiors and try get the rule changed. I shall not hold my breath for that. Football needs to look again at what the role of Referees is and what he is trying to achieve. Football’s laws have evolved rather than been created and many of them do not achieve the aims we should expect them to. The redress given for the denial of a goal – as Ghana attest to – is not on a level with a goal scoring opportunity. Consider the Luis Suárez handball in 2010 and the Jordan Pickford sending off on Saturday and reflect that Pickford’s punishment was massively greater than that of Suárez. My brother and I have talked long into the night on the merits of awarding an unopposed penalty as redress for the denial of a goal. That is a way that the offended against team could have redress. It is thinking like that which can start to level the injustice which is codified into football’s laws. More about Andy Halliday, Asamoah Gyan, Ghana, Goalkeepers, Jordan Pickford, Luis Suarez, Phil Parkinson, Red Cards, Referees, Rochdale, Sending Off. Lament for the Rohirrim, Tolkien. When does retirement first cross the mind of a footballer? Is it when he rushes for a ball and lacks the half yard to win a race? Is it when he walks up the steps of Wembley stadium for his first finest hour and knows from then on it is all the way down? Is it the first hard tackle he takes with the second it takes to fall to the floor causing a rush of thoughts to his head? Will he pick the time and the date when he hangs up his boots or will someone pick it for him? Will the next time he steps on a football field be the last? Will he feel proud of his career when his career comes to an end? How many regrets will he have? When his shadow is no longer cast four ways by floodlights will he be remembered? And how so? When Shaun Derry took over at Notts County he took a decision that experienced heads were what he needed to stop a recurrence of a season of struggle. Phil Parkinson’s Bradford City team had not struggled in the previous season but it was decided that his team were a little too experienced, or expensive, or both. And so Bradford City’s Wembley captain Gary Jones and goal scorer against Arsenal Garry Thompson were in Notts County shirts. County Goalkeeper Roy Carroll played for Manchester United and still plays for Northern Ireland at 37. Bradford City once tried to spend £4.5m on Alan Smith – or so the rumour had it at the time – who was a young striker when he played for Leeds United but sat at the base of a midfield three for The Magpies today. Skipper Hayden Mullins played in Cup Finals for Portsmouth and missed one for West Ham through suspension. The County reserve keeper was over forty. Derry’s planning has been rewarded with a team who having not lost away from Meadow Lane and are troubling the play offs positions which City are occupying. Both sides would be right to put the performances in the first half of the season down to the character which was in evidence on the field. Without Mark Yeates and perhaps in appreciation of the role that Smith plays in the County side Phil Parkinson put Billy Knott into the playmaking role of the 4312 formation which had previously been abandoned. Knott’s remit was to prevent Smith from dictating play while Liddle sat deeper to make sure that Gary Jones was controlled when he came forward. Derry dropped Garry Thompson out of the forward line and onto the right hand side rather than push him against the Andrew Davies and Rory McArdle defence. The game was close. County looked to take a solid defensive line and raid a goal while City looked to press home advantage and force the play. The game was tough in the tackle but as fair as any one would hope to see. What is it that made Gary Jones a man who would be given a standing ovation by the supporters of the team he is playing against? Jones was given a tribute that I have only seen afforded to Stuart McCall previously. He earned it for his performances for City. Wembley and all that. In August 2012 City went to Meadow Lane in the first round of the League Cup. Country hit the bar in the 90th minute of normal time from three yards out. An inch lower and would Gary Jones be another Eddie Johnson? Another Steven Schumacher? Another Tommy Doherty in the footnotes of Bradford City? If Gervinho had not missed an open goal at Valley Parade would Garry Thompson’s goal against Arsenal have meant what it did? Would Thompson have got the chance to blaze in against Burton? If he had not would City have been able to win promotion from 3-1 down? These are the single moments that define the future but one wonders if the players define the moments or the moments define the players? What had Gary Jones done to deserve the fortune of that miss from a yard in the first round of a competition which would give him the opportunity to get to the final? Had it been Eddie Johnson and not Gary Jones in City’s midfield, would Johnson have been the Wembley captain? It seems unlikely. Jones offers more than most footballers one will see. His impact on his own game, and the games of those around him, is marked and noticeable and in evidence for County as they battle but eventually to the single goal defeat at Valley Parade. Jones leads by example. In the 88th minute he gets to the ball before François Zoko in a straight race. Two games in three days, and two minutes from the end, and he beats Zoko for pace. He is thirty seven years old. How many more games will Gary Jones play? The thought must be in his mind. If this game were to be his last then he would have made an end worthy. But it will not be. And Jones will continue to play every game knowing that soon one will be his last. And what a privilege, what an honour, to see that. Limping off to join an increasingly lengthy Andrew Davies will hope that he does not face another spell out of the Bradford City team. It seems that City’s chances of staying in the play offs are tied to Davies’ chances of staying fit. Davies was well paid meat in the room at Stoke City but decided that he would rather play League Two football than not play in the Premier League. He is paid less to play for Bradford City than he was to not play for Stoke City. He was thirty years old two weeks ago. He has never played more than thirty games in a season. He is out of contract in the Summer. How many times has Andrew Davies sat up at night wondering when it will be all over? He gave up much to come to Bradford City and from that he was part of a team justifiably called “The History Makers.” What would he give – or give up – to make history once more? To not let days fade into the West? If Gary Jones looked over at Andy Halliday as Halliday spurned the third good chance to give City a lead in the opening of the game at a snow surrounded Valley Parade he will probably have seen in him exactly what Phil Parkinson does. That Halliday on the day was consistent in being woeful. Such faint praise is not to damn him but rather to finally define what it is that the City boss believes the Scots winger turned inside midfielder brings to the club. Halliday’s game was a footballer in misfire. What was impressive – and what Jones will have recognised – was that the young midfielder continued his level of performance taking responsibility for his performance. That Halliday missed three fine chances, and crossed badly for three or four more, shows character. If Andy Halliday goes on to play a thousand games as a professional footballer, and if this represents the worst of those games, he will be able to say that his head never dropped. And his spirit never dropped, and he did not sulk, and he did not flinch, and that he saw the game out on the winning side. And that, dear reader, I find impressive. You start young catching and kicking a ball and then you are crossing seas to the East coast where you are the man who comes off the bench when the goalkeeper scores goals but you get your chance and you take your chance and your career goes forward to promotion and then to every boy’s best dream and Old Trafford. You play for the biggest clubs. You win FA Cups. You play in Europe. You play in World Cup Qualifying for your country. You have the career that the people who set you on your way from Ballinamallard United could only have dreamed of you having. But you are remembered for one thing. It is cruel and unfair and you try and you try again and again to unblot the page but it cannot be done. It was in the minutes before half time when Thompson played a ball back to Roy Carroll who seemed to come to the edge of his box looking to pick up the ball, then pushed out and seemed to push Billy Knott while on the floor but Knott slipped a ball to Andy Halliday who dribbled to the touchline and while Carroll returned to his goal by the time Halliday found Knott who hit into the net as Mullins tried to clear. Carroll’s extra-area activity had cost County, and ultimately broke their record of not losing on their travels. And Bradford City went into the new year in the play off places. More about 2014/2015, Alan Fettis, Alan Smith, Andrew Davies, Andy Halliday, Billy Knott, Gary Jones, Manchester United, Roy Carroll, Shaun Derry. In the game of Chess there are five ways to draw. Most of them involve no move being playable within the rules but there is a method called “threefold repetition” in which a draw is called should the same position occur for a third time in a game. The purpose of this rule is to avoid a situation in which the two players go into a stalemate situation. It is rare in the world of perfect objectivity which is Chess. Not so much a rule to say that a draw has happened, but one which pre-empts the draw. Even before Gillingham substitute Antonio German scrambled a stoppage-time equaliser to give his side a 1-1 draw at Bradford City a threefold repetition could have been called on the game such seemed like the inevitability of the result. Inevitable in that watching Peter Taylor’s teams for his brief time in charge of Bradford City – especially the way he set up his teams to play away from home – was seeing a manager comfortable with a point. Inevitable in that Phil Parkinson’s Bradford City teams hold close to the believe that games are on gradually rather than but great pushes and even when an own goal by Leon Legge following great work by Andy Halliday on the flank the Bantams did not commit to getting a second goal. Inevitable that Gillingham keeper Stuart Nelson made two saves which turned goal-bound shots onto the post one in the first half from Billy Knott and a second from James Hanson in the second. With goal efforts at a premium Nelson’s reactions were as valuable for the visitors as Jordan Pickford’s were at Preston last weekend. That City had the better of the chances seemed to suit their being the home side but as both teams were comfortable with a point a draw was the result. 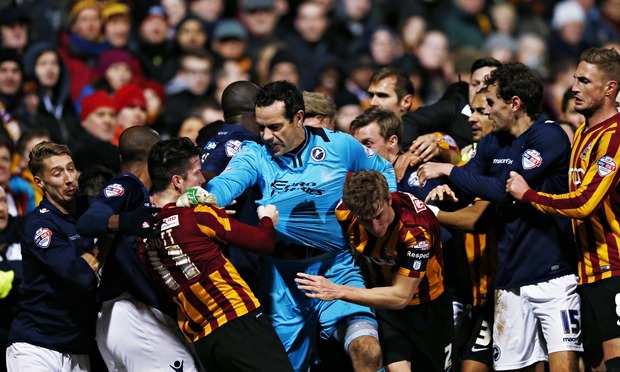 Which returns to the the threefold repetition rule and its place at Bradford City. The rule is in place to stop games in which no progress is being made and on a cold November afternoon turned evening it seemed that no progress was manifested on the field. This week there had been talk from the Inner Party of the Bradford City Supporters Board that the club were aiming to be in the Championship by 2017. It was not clear why exiting administrator David Baldwin had made this claim to the selective group without adding any detail as to how they would be achieved – it would seem that the feedback from this curious organisation is a one way process – but make it (it seems) he did. What is the plan for that? And why is there an assumption that everything tends to improvement. City seem to sit at a crossroads in the club recent history. There is the will to improve the clubs and many paths to take to do it. The management of the club is in a good position – Parkinson gets a lot out of his players – but there are questions about recruitment that were highlighted by Aaron McLean’s exit this week. Likewise there are questions about the structure of the club the exit of David Baldwin – a man rated above his abilities in my opinion – and how to craft the business as it tries to grow. Further there are questions as to how those improvements would be translated into success. Simon Kuper and Stefan Szymanski’s contention in Why England Lose is that the only real guide to one’s place in the pecking order in football is turnover and that increasing turnover moves a team up the divisions. Aside from wanting it to be so, and hoping that the statistically improbable falls in a way that benefits, what right have Bradford City got to expect that next season will be better than this? If Andrew Davies were to leave when out of contract in the summer why would we expect someone better to replace him? Why is there an expectation that Gary Liddle – excellent today – should be better than Gary Jones? These are points which need to be addressed before the club start talking about 2017 in the Championship. Phil Parkinson’s side could have been accused of not being committed to trying to win the game but Parkinson was no more going to send his team to be gung-ho than Peter Taylor’s were of doing anything other than defend. Two teams cancelling each other out and neither looking in a position to make progress. Phil Parkinson is a good manager doing a good job at Valley Parade but one wonder what he is up against week-in week-out and how the teams who do progress support managers? This is an open question. I am not suggesting a plan to be followed but what I am wondering is who at Valley Parade had the domain knowledge that would be helpful to Parkinson? In a week where City have agreed to pay 75% of the wages of a player in a side chasing promotion I think we all have to admit that there is scope for improvement. On the field some games are won, some are lost, and like today some are drawn and that is how it will stay unless for outrageous fortune one way or another. That or the intervention of the boardroom at the club who – at the moment – seem to have aims without plans. Peter Taylor, a miserable night and a miserable football match, that all reminded me of what happens when the board have aims without plans. More about Aaron McLean, Andrew Davies, Andy Halliday, Antonio German, Billy Knott, David Baldwin, Gary Liddle, Gillingham, Jordan Pickford, Peter Taylor, Phil Parkinson, Stuart Nelson. Fatuous wisdom in football has it that the only way to get out of bad form is hard work. The statement is not incorrect, just tautologous. The only way to achieve anything (or anything good) in football is through hard work. Hard work is a prerequisite and is in turn both the most and least impressive thing about any player. If the best one can say about a player is that he works hard then he obviously offers little else, if a player does not work hard then he has little else to offer. And so to Jason Kennedy, obviously, who is damned by the preceding comment. The tall, bald former Rochdale midfielder has become the poster boy for Phil Parkinson’s Bradford City this term. Not massively gifted and suffers in comparison to what preceded but capable in limited ways. Those limits – the landscape of City’s abilities – have become obvious as the weeks progressed. Phil Parkinson can take the credit that comes from a 2-1 win at Preston North End for understanding them better than most. In fact Parkinson deserves credit for – what Orwell was credited with – his “power of facing” the unpleasant truths about the Bradford City squad and its limits. Seldom has a Bradford City team been so clearly defined by its limitations and rarely have those limitation been circumnavigated so well. Parkinson sent a back four out with Jason Kennedy and Andy Halliday sitting in front to shield Rory McArdle and Andrew Davies and the midfield pair did not even battle for possession with the Preston middle so much as make it their business to make sure that possession was dissipated to the flanks. The two midfielders are not creators but will shield, the two central defenders can defend crosses, the two fulls back (Stephen Darby and James Meredith) with the support of wide men in front of them can put pressure on wide men to reduce the quality of that delivery. Likewise those widemen, Filipe Moraris and Mark Yeates, have no pace to speak of and so no time was wasted trying to play the ball in behind the home side’s backline. Everything was worked carefully in front of the defence and converted to set plays because Parkinson also knows that if he side can generate enough set pieces then one of will be converted and so it proved when Rory McArdle got his head to a corner and that header found the goal via a post. It was not really deserved but then again with City dug deep and Preston North End failing to break the Bantams down then why would they deserve more? At least that is what Parkinson will have drummed into his players at half-time. If they carried on doing what they were good at right, and avoided being tested on what they were not good at, then they would win. And so it proved for the majority of the second half. Preston’s Joe Garner was flimsy between McArdle and Davies and so Kevin Davies was introduced and proved equally at arm’s length of the two defenders who stuck to their remit perfectly. Which is not to say that the pair were never breached – Garner had one header cleared off the line before his goal with five minutes left which seemed to share the points – just that they looked as robust a pair as they had done two years ago. If Preston’s equaliser was the result of the home side’s pressure the goal which won the game for City was for the want of pressure applied to Mark Yeates. Deepdale was hoping for a winner sixty seconds after the equaliser and perhaps right back Jack King was absent mindedly hoping for that too as he allowed Yeates to take control of a long cross field ball and have all the time he wanted to pick out and place a low shot around the goalkeeper and into the net. Yeates celebrated with gusto. The turnaround in the effort Yeates has put in are in keeping with the importance Parkinson places on him. It has been said before that Yeates will create one thing a game and today he created the moment of the season, Leeds aside. And let no one take the credit for the win away from Phil Parkinson who was the author of victory. It is difficult for a manager to look at his team and not romanticise. It is difficult to look at the limitations you’ve ended up with and have your pattern of play defined by that. There is a frustration for all at Valley Parade that 2014’s signings have – on the whole – not moved the team on (Why should they? Why should we assume that Gary Jones would be replaced by a better player?) and Parkinson’s ability to recognise that and build a team appropriately – a team which won – allows him time and confidence to take on the task of improving players. It seems that Parkinson, who has sampled the peaks of his job as City manager, understood the trough and planned accordingly. More about 2013/2014, Andrew Davies, Andy Halliday, Filipe Morais, Gary Jones, James Meredith, Jason Kennedt, Joe Garner, Kevin Davies, Mark Yeates, Phil Parkinson, Preston North End, Rory McArdle, Stephen Darby. Two years ago Giantkiller. Now giant. Brought down to size. Three minutes and everyone was getting what they wanted. Bradford City’s trip to Halifax was a defeat waiting to happen and when Lois Maynard ploughed in from close range following a series of corners needlessly conceded defeat seemed to be worryingly unavoidable. It was what the BBC, BT Sport, and a lot of the local media coverage had sharpened pencil for. The team that conquered Arsenal, have themselves been giant killed. A cliche like that proves irresistible even to the subjects of it. Halifax Town – OK, FC Halifax Town if we must – took the role of the underdog with a lot of the gusto which City took showed in the cup run of 2013. Town made things were difficult for the Bantams. Throw ins were launched long and were hard to head out. Midfielder’s were chased down. Wide men were pushed wider. The home side made the most of set plays which led to the goal after three minutes and to the general sense that Halifax took their role in a way Phil Parkinson would have been proud of. Parkinson’s City took the overdog role with a depressing ease. Starting out with a flat four with two in front of them, then a three sitting behind a single front man were disparate and far too easy to play against. Filipe Morais, Billy Knott and Mark Yeates were a line behind Jon Stead but ineffectual and quickly parted, separated, and not difficult to counter. The onus was then put on holding two midfielders Jason Kennedy and Andy Halliday but they failed to provide that and both seemed to be guilty of waiting for someone else to make something happen. There was a moment – following City’s cup keeper Ben Williams’ save from former City defender Steve Williams’ close range header – where another narrative wrote itself. It was about the decline of a manager in Phil Parkinson and how in the future we would talk about how one could tell that things were over for the City boss when he played that Andy Halliday in central midfield in a 4231. The rapid switching between formations, picking players in ill-suited positions, and lifeless performances or cup exits are the stuff of the last days of a manager’s time at any club. What happened to the Phil Parkinson who used to so love his 442? It may have been that that thought occurred to Phil Parkinson at the same time as it did to me. His Bradford City team were not playing very poorly – chances were being created – but the story of the season has been sporadically creating chances without patterns in the play. City had a lot of footballers, just as Arsenal had, but Halifax had a team. Perhaps that realisation stung Parkinson. City had so easily fallen into the giantkiller/giantkilled narrative and responded accordingly. I like to think that the City manager thought that if this game at Halifax was going to be the start of the final days of his time at the club then he would go out on his own terms. Parkinson of old. Four Four Two and the big man/little man combination of substitute Billy Clarke alongside Stead. Billy Knott – wandering in the first half – was given a place in the midfield engine and the full backs Stephen Darby and James Meredith were given the support of wide men in front of them. Clarke threatened goal within a minute pulling a good save from Matt Glennon and carried on his direct, provocateur play by pulling the Halifax backline wide and creating a hole that Jon Stead appeared in when Morais had played a fine ball forward. Stead walked the ball around the keeper to equalise. And two minutes later Morais had been found by Clarke and blasted across Glennon to score. More dangerous, more determined and stronger at the back Parkinson’s team started to look like a Phil Parkinson team. Halifax huffed and puffed but City looked like a solid unit again and for the first time this season – maybe this year – seemed like they would score more goals. Pressure, directness and confidence. I do not know if it is what the boardroom call attacking football but it was Phil Parkinson football. City go into the second round, and have beaten a second West Yorkshire club of the season, and move on to face Preston North End next week with Parkinson mulling over which way he takes the City squad. By returning to his favourite formation Parkinson seemed to free his City players from thinking in terms of their personal displays and enable them to focus on a team performance. The English footballer’s DNA is 442 and as soon as Parkinson switched to it the players seemed to switch to inbuilt positional play. Morais – lost on one flank in the first half and playing the sort of game Sacchi would comment on – was more effective in a right wing role not only because he knew where to go (Note to pedants: his football education is that of the English footballer) but because every other player knew where he would be. When Billy Clarke flicked the ball forward to him for his goal it was in expectation. It is not that Morais found Clarke in a good position for the first goal or that Clarke found Morais for the second it is that both knew where to expect to find each other which will have pointed a way for Parkinson. All of which questions the shape of the City squad. Next week Phil Parkinson takes his team to Preston and Kyel Reid who’s pace is lacking from the Bantams squad and seems to prevent City returning to 442. Perhaps when the transfer window opens Parkinson needs to find someone who can add the pace if he wants to return to his way of playing. Because after avoiding the obvious narrative at Halifax Town Parkinson will probably be afforded the chance to reshape the squad once more. More about Andy Halliday, Ben Williams, Billy Clarke, Billy Knott, FA Cup, FC Halifax Town, Filipe Morais, Halifax Town, James Meredith, Jason Kennedy, Jon Stead, Kyel Reid, Lois Maynard, Mark Yeates, Matt Glennon, Phil Parkinson, Stephen Darby. First, before we talk about the 2-1 defeat to Doncaster Rovers and so we can talk of it properly let us clear up this talk about midfield diamonds. Bradford City do not play a diamond midfield at least not in the way that the term was originated in football tactics. A diamond midfield sees a a player operate between the defensive line and the midfield line and a second player between the midfield and attacking line. Bradford City played at the start of the season, and played today, three men on the midfield line with a single played tasked with winning the ball back and two players either side of him with dynamically moving between the midfield line in defensive play and taking up attacking positions when attacking. Added to that there is playmaker between the midfield line and the attacking line. Think of the midfield as a T-shape or an inverted T-shape depending on if the team are attacking or defending. When defending the two side midfielders need to be level with the ball winner and when attacking they need to level with the playmaker, more or less, and be inwards of the lines of the penalty area. This difference is import, and is not semantic. How many steps does Phil Parkinson take? One doubts that on the walk back to the Valley Parade dressing room after this 2-1 home defeat to Doncaster Rovers that Phil Parkinson would have taken many steps before being clear what problems faced his team today. Rovers scored twice in the second half after the Bantams had taken the lead. Neither side could have said they had controlled the game and the visitors will go home pleased with a good counter attacking performance. Parkinson could have been tempted to think of a Refereeing performance which bordered on the random as being the heart of his problems. It was a performance where kicking the ball away before a free kick was not a yellow card and where kicking a player off the ball after the whistle was. Referee Kevin Wright seemed to be ideologically opposed a way of playing through a target man that rendered City’s best asset James Hanson useless. What they call “hoof ball” might not be the beautiful game but it is not against any rules and the fact that Hanson committed so many “fouls” without being booked told a story of its own. It would have been tempting for Parkinson to conclude that his defence was a problem and that problem was because he was Rory McArdle who was suspended following two yellow cards that were justifiable last week but – by the standards set today – would not have been bookings. Defensively through City gave little up. Parkinson might have been tempted to look at how the visitors took few shots and scored two goals and wonder if the problem lay with his strikers conversion rate or give credit to the (excellent) Sam Johnstone in the Rovers goal. Johnstone, on loan from Manchester United, was superb when called upon and is probably a name worth remembering. Profligate strikers and great goalkeepers are sometimes the story of a game but they are not the story of this game. Parkinson must have walked to the dressing room knowing that his team failed in creating quality rather than quantity in chances and been able to pinpoint which two positions – ergo the players – that problem lays with. Run any number of statistical calculations on Mark Yeates at City and you’ll find that he is involved in positive action on the field more than any other player. It was Mark Yeates who took the ball from the midfield through – through rather than over – the Doncaster Rovers defence and fed it to Jon Stead to kept the ball under him as he dribbled then fired past Johnstone for the opening goal of the game. It is Yeates who prompts most of the attacking possession and his work rate in doing that is admirable. Defensively Parkinson knows to not give the Irishman too much of a role and so Billy Knott breaks up play carrying the water for Yeates. Both players did what they were expected to do today and they did it well. The problem lay with the two positions beside them and regretfully the players in those positions. With Gary Liddle injured and Jason Kennedy dropped Filipe Morais and Andy Halliday took the side midfield roles. Kennedy offers hard work but is not creative. Liddle is a consistent performer. Morais and Halliday are more creative than either and while neither shirked their work today – this is not an attempt to pick a (pair of) scapegoat(s) – neither were able to address the balance that these side midfielder roles need for this formation to be more successful than it is for Bradford City at present. The two side midfielders have not matched either ball winner of playmaker in their performance level. Today Morais and Halliday were found wanting in the bite in a midfield battle and created little. Yeates creates a goal a game and a couple of other chances – very roughly speaking – and that is City’s main source of chance. Tthe side midfield pairs have not been adding to that. The frequency of which Morais and Halliday, and for that matter Kennedy or many of the other players tried in the side midfield roles, are involved in positive action for City contrasts sharply to Yeates. It was a deep cross to Reece Wabara from James Coppinger – who Halliday probably should have closed down sooner – that resulted in the goal that pulled Doncaster level and a break away counter-attack that Curtis Main rifled in that gave them the winner that settled the game but as with last week’s lost at Oldham Athletic 2-1, and the defeat at Barnsley 3-1, creating good chances is City’s problem. Taking the lead in the game and then not applying pressure to score more creates a sense of nervousness in the City side and seems to see the opposition grow. That Doncaster Rovers were behind today was not because of a period of pressure, nor did City’s goal signal the start of such a period, and because of that the visitors had concluded that they had taken what City could muster and survived it. That became the story of the game. City toiled going forward both a 1-1 when a break away saw the visitors second goal and when behind but it would be hard to say that City putting Doncaster under pressure, or at least under the sort of pressure that brings goals. Since the play-off were recently introduced into football (about twenty years ago, time does get away from one) promotion can be as much as hitting form in the second half of the season as it is about marching to the titles. Phil Parkinson found this two years ago and City’s only other play off success was based on the same. With that in mind one might wonder if Phil Parkinson hopes to take his team to the transfer window and make of it a side that could win more in the second half of the season. Word that comes that Arron McLean is to be loaned out and the money saved to be used to bring in another striker suggests he may have that in mind. However I am unsure that that fixes the problems that City suffered today. The side midfield roles are demanding and require players to rise to those demand. At the moment Liddle does sometimes, and Knott has shown he can, but one of those two is required for the ball winning role and so one might be tempted to say that City could have Pellè or Pelé up front and would struggle if the quality of chances created does not improve. Parkinson’s decision now, as he counts the cost of his cutting his losses on his recruitment of Aaron McLean, is if he has enough in the midfield to justify bringing in a striker to finish off a paucity of creation. Remember that tonight Bradford City’s manager and fans are not left cursing strikers missing chances. If not he might be left thinking as he no doubt was today. That there is not enough of Mark Yeates to go around. More about Andy Halliday, Arron McLean, Bill Knott, Curtis Main, Doncaster Rovers, Filipe Morais, Gary Liddle, James Coppinger, James Hanson, Jason Kennedy, Jon Stead, Kevin Wright, Mark Yeates, Phil Parkinson, Reece Wabara, Sam Johnstone. In injury time as City trailed 2-1 Billy Clarke touched the ball over Paul Rachubka in the Oldham Athletic goal only to see it clear the crossbar. At that moment Phil Parkinson was probably caught between a burst of pride in how his team had come back into a game which seemed to be out of reach and frustration that for all the efforts of the second half the revival would end in nothing. Clarke was a late substitute in the game to apply pressure to an Latics side who could not have expected to spend the second half defending as much as they did following the two goal lead they eased to early on in the match. In the second forty five minutes Clarke also took a swipe at air when put though, a light touch in the box by Mark Yeates could have been more, the offside flag on Jon Stead stopped him and probably should not, Alan Sheehan melted Radchubka’s fingers and a seemingly obvious pull down on Andy Halliday must have left Parkinson frustrated but the endeavours that came to nothing were more than one might have thought City would get after a poor first half an hour. Poor in almost every way that Phil Parkinson wants at team to be good. The defensive unit was uneven with players drifting in an out of the line, the midfield lacked bite and physicality and all over the pitch players seemed too ready to shirk responsibility for the performance. Parkinson has employed two lines of four with James Hanson withdrawn from Jon Stead in the forward line in a repeat of a formation which was a favourite this time last season when Nahki Wells could be relied upon to make the most of little which was created. The hope, perhaps, was that the wide men would support the full backs and provide a defensive stability but that did not occur not did it especially seem to be needed. Lee Johnson’s Oldham side – who had already beaten City once in the Associate Members Cup this season – are comfortable in possession and were able to play the ball into dangerous areas pulling City out of shape without much difficulty. This culminated in a deep cross which split Alan Sheehan and Christopher Routis and saw the powerful Jabo Ibehre able to dominate the Swiss centreback and head back to Jonathan Forte who turned Rory McArdle to power in from close range. Much seems to have been said about Routis this week and all first half Jason Pickford and Alan Sheehan had their say to his face, often loudly. It seemed rare that an attack was pushed away by the City defence that Routis was not given verbal instruction by his team mates. It was an angry Sheehan who confronted Routis following the defender’s reluctance to go out to break up an attack in embryo. Sheehan seemed to have Parkinson’s backing or at least the City manager seemed to share his frustrations as he replaced Routis with James Meredith, moving Sheehan to central defence before forty minutes had expired. By that time Oldham’s ease of passing had seen a shot canon in off Rory McArdle and into the net. It seemed, and was, too easy for the home side. Parkinson responded with a return to his three man midfield and Yeates was shifted in the playmaking role. Andy Halliday, hitherto anonymous on the right wing, tucked inside and started to perform well motoring up and down the inside channels of the midfield rather than the touchline. It is emblematic of Parkinson’s recruitment problems this season that he brings in a winger on load and that winger looks best in the inside midfield. It was Halliday who got City back into the game although credit goes to James Hanson for a knock down at the far post that showed why many managers want him in their side and not ours. It seemed as City end the first half and started the second in fine trim following a shift in tactics and personnel that Parkinson may conclude that he picked the wrong side this afternoon and instructed them to play in the wrong way. That could be the case or it could be that City – and any team – will struggle to fill a gap left by such an important player as Andrew Davies. McArdle and Sheehan kept Oldham at bay in the second forty five minutes. The home side would probably like to say that they sat on their lead in the second half but seemed more pushed back on their heels as City came forward with danger constantly. Yeates drifted around, Halliday prompted well and both Gary Liddle and Jason Kennedy looked better in the midfield three than four they started in but the lack of a finished told. Aaron McLean watched from the bench as chances went begging and one found oneself almost thinking that the game was poised for the striker to convert one of the many of the chances but knowing that that chances only came from the craft of Hanson, Stead and later Clarke who McLean would replace were he on the field. This is Parkinson’s Catch 22. That he needs his finisher on the field to score from the chances but knows that he would not get those chances (or as many of them) with his finisher on the field. It will be keeping him up at nights, and it is stalling City’s season. With no resolution to the problem City ended up winning back only pride in the second half and probably believing it should have been more but knowing that the irresolvable attacking problem means it was not. The afternoon must have become worse when Rory McArdle was given a second booking for a second offence worthy of a yellow card and Parkinson will have known that he would have to look to get a performance next week from the man he took off before half time this. McArdle put in the kind of shift that a manager would want from his player. Full of heart he was brave in the tackle, technically excellent, and committed to the cause taking responsibility in turning the performance around but at the final whistle he was left with a red card and an own goal to his name. That was the story of City’s afternoon. A game that for all one might have thought one deserved delivered absolutely nothing at all. More about Alan Sheehan, Andrew Davies, Andy Halliday, Christopher Routis, James Hanson, Jon Stead, Jordan Pickford, Lee Johnson, Mark Yeates, Oldham Athletic, Paul Rachubka, Rory McArdle.